The Beebe brothers — Carson, Chase and Conor — will host the grand opening of Beebe Trained on December 22 at their location in LaGrange. 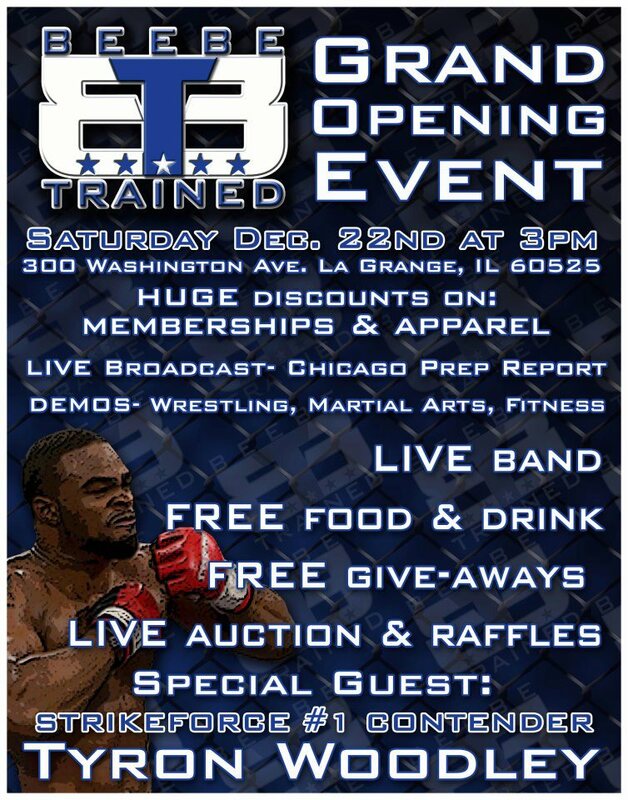 Strikeforce fighter Tyron Woodley will be on hand for the festivities, which will feature demos on MMA, wrestling, fitness and more. For more info visit Beebe Trained and follow them on Facebook.